Washington, NJ: Sanitary, vibrating fluid bed dryers from process equipment manufacturer The Witte Co., Washington, New Jersey (www.witte.com), are custom engineered to continuously dry and gently convey large volumes of nuts, fruits, seeded cereals and other low density food products. Replacing belt dryers that expose the sensitive products to the plant environment, the Witte sanitary system encloses the stainless steel conveying surface inside the drying zone to help safeguard the products from contamination and support sanitation goals while also eliminating the potential risk of belt breakage and associated line downtime for cleanup and repair. Designed to meet FDA, USDA and 3-A standards and regulations, the sanitary Witte vibrating fluid bed dryers feature 100% stainless steel construction for both structural and product contact areas with polished welds to promote consistent product flow. For easy inspections and maintenance, and for complete washdowns, the drying system allows the cover to be removed without any tools and the entire interior of the machinery to be freely and fully accessed. 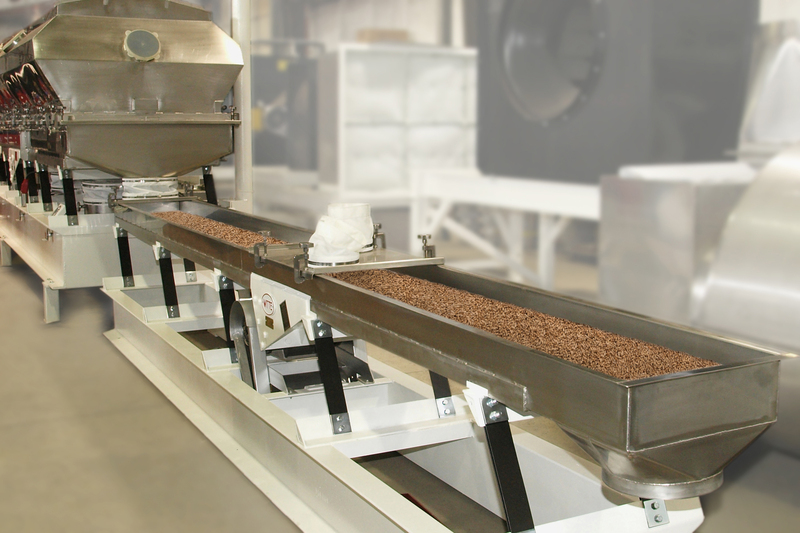 The Witte fluid bed drying systems are manufactured at the company’s New Jersey headquarters and fully assembled and tested before delivery.